Phones are constantly being upgraded these days. The relentless battle to keep up-to-date means that often your old mobiles end up in the ‘tech junkyard’ that is your bedroom drawer. If you’re feeling brave enough to dig around then we’ve got some handy ideas for breathing life into your old mobiles and saving you a few bob at the same time. Re-using your old smartphone as a dedicated music player for your car is a perfect way to keep you entertained on your daily commute. Clear off the old apps and you should have enough space for your full ‘80’s hits’ collections as well as those tracks the kids tell you to turn off because they’re embarrassing. In addition to your new music library, you could also install a free offline sat-nav app and use the mobile for navigation. Downloading the maps straight onto the phone also means not having to have a separate SIM and data tariff which could be costly. There’s a whole range of free sat-nav apps out there. My personal favourite is NavFree GPS (iPhone, Android) because it’s easy to use, has offline maps and most importantly its free. Fitness tracking is all the rage at the moment with snazzy kit costing upwards of £130. Before you break a sweat, we’ve found plenty of apps to turn your old mobile into your new personal fitness guru. What better way to save money and get fit! Moves (iPhone, Android) is one of our favourite free apps that works as a pedometer and tracker whether you’re out for a run or just going about your daily life. If your phone has GPS then it’ll also tell you where you’ve been and how you got there. Very clever. 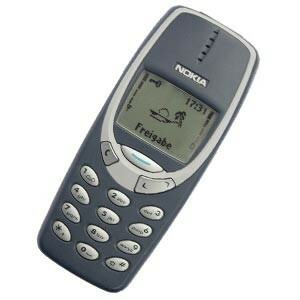 Remember how addictively simple ‘Snake’ was for your old Nokia? Well why not pass your old phone onto the kids and keep them busy on your next car journey? No matter how old your phone is, it probably has some quick, fun games that the kids will find addictive. Just be careful they don’t drop it, Nokia 3310s were heavier than paperweights! Also, make sure you do this supervised too, you wouldn’t want your kids making any emergency calls by mistake. If there’s no life left in your old phone and you fancy making some extra cash then you can recycle it. MoneySavingExpert.com has a brilliant search tool to find the best price for you, then you just pop it in a jiffy bag, post it and wait to get paid. 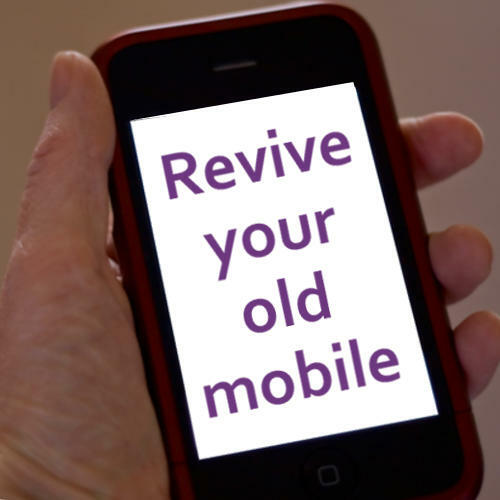 Of course, this depends on the age and condition of the phone but if it’s too ancient then you can be safe in the knowledge it’s been recycled properly and you’ve freed up some extra space. One way of putting a smile on someone’s face is to pass your phone on to a family member or friend. This can be cost effective and good for the environment: you’ve saved the other person having to buy a new phone and your pre-loved handset will continue to live on. You might need to check with your network provider to see if the phone is unlocked (which most do for free now) and clear any old data you don’t need on there anymore. Maybe you can teach your Nan how to play a quick game of Candy Crush Saga? 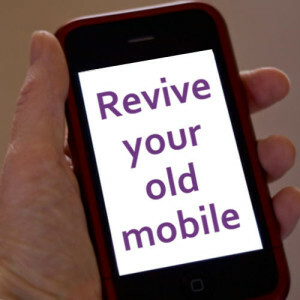 If you have any great ideas for re-using your old phones, we’d love to hear from you in the comments! Why do students get into debt and start borrowing?